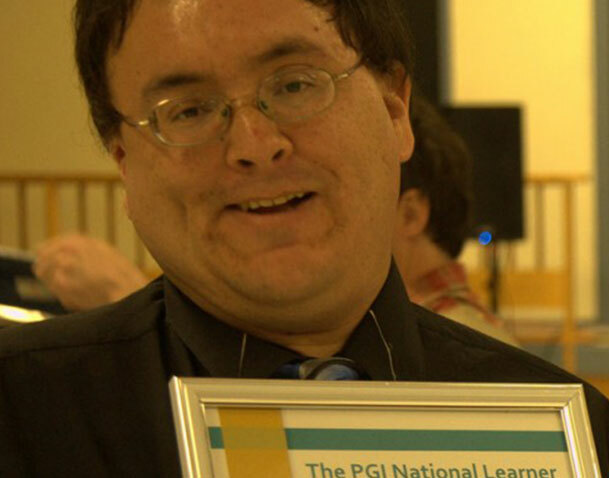 James was our 2014 PGI learner award recipient. In his 40s, James decided to try his hand at his adult Dogwood again after successfully completing an 8-week jobs skills training course with Hecate Strait Employment Development. It is with this new found self-confidence that he enrolled with E-Bus and sought extra tutoring support from Literacy Haida Gwaii. He persevered through his course load and had never missed a single tutoring session. His self-discipline finally paid off. James graduated this summer with a Grade 12 dogwood diploma.